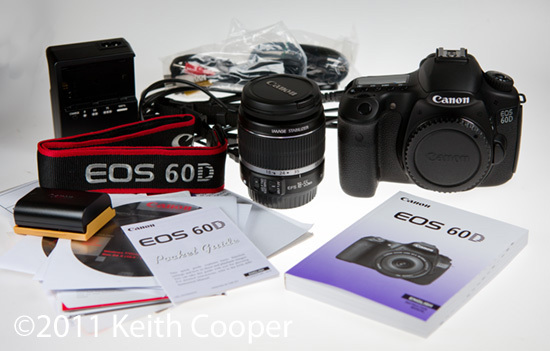 Canon UK have kindly lent us a new EOS 60D to try out. Remember that I’m a professional commercial photographer, used to using the much larger Canon 1Ds Mk3 for my day to day work, so my expectations of build quality and lens performance are coloured by this. 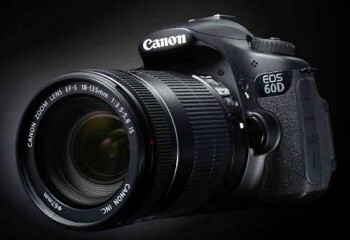 The version we’ve been sent includes the Canon EF-S 18-55mm IS kit lens. This includes image stabilisation, which helps counter camera shake (blurred images) when shooting at low shutter speeds. A slight diversion – to my mind, Canon’s marketing misses a trick here. If you’ve ever opened an Apple product, nothing gets in the way of experiencing your product. This is a consumer item – brand experience and opinion can be raised or lowered at this point. Most people love opening boxes, there is an excitement. 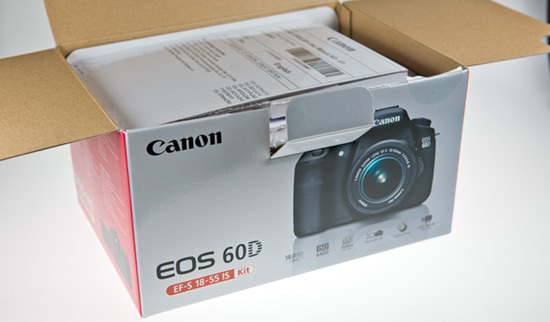 What does Canon give me – a bar code and a packing list – not a Christmas morning experience. I might as well be opening a box with a new oil filter for my car… However see this for why the Apple approach is not as easy as some think. Enough marketing stuff – to the camera! First thing to do is put the battery into the charger – it took just under an hour to show full charge. During this time I fitted the camera strap (it needs undoing first, but isn’t too complicated) It’s a good time to have a look through that pocket guide and have a glance through the refreshingly comprehensive paper manual. I like to have a paper manual and try to read it through at least once for each new camera I get. 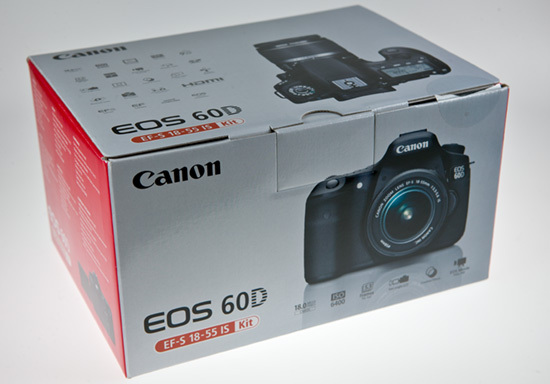 I’ve used Canon digital cameras for a few years, so the basics of the 60D operation seem quite intuitive. I popped a spare 4GB card into the side slot, put the lens on the camera and the battery into the compartment below the grip area. I’ll be writing up some more articles about how the camera performs, but thought I’d show some of the settings I changed before taking it out. 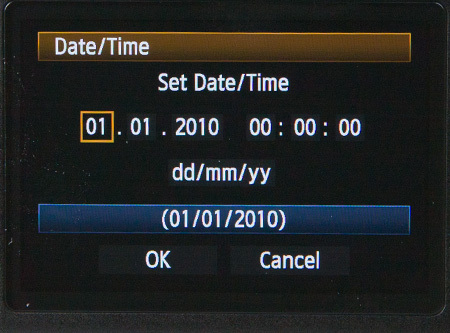 If you are completely new to the camera, then I’d suggest waiting until you know more about it before experimenting too much with the settings. First up, you need to set the date. Don’t skip this – it makes finding your photos so much easier once you’ve taken a few thousand. The photo to the right is an actual photo of the screen and gives a good feel for the smooth crisp display. Whilst not devoid of reflections, the screen coating does reduce the intrusiveness and make it a realistic option for some outdoor use. If you are coming from a compact camera background, learn to get over using the screen for composing images – the viewfinder is generally much better, and has the added advantage that you are not holding the camera at arms length, which always increases the chance of camera shake. The auto focus (AF) will work in liveview mode (using the screen) but is much slower than the main AF when using the viewfinder. Two vital changes for me. Secondly, I’ve set the Quality to RAW+L, so that each photo is stored on the card twice, in two different formats. I take all my photos in RAW mode. The JPEG versions are a bit of insurance and often useful for quick processing to send out to clients. Remember that I’m thinking from the POV of someone who earns his living through the photos I take. You might not want to take this ‘belt and braces’ approach and just settle for JPEGs, in which case read the manual about all the in-camera processing options – there are many and an understanding of them will greatly benefit a JPEG only approach. BTW I wrote an article some some ago as to why I use RAW format for my photos. 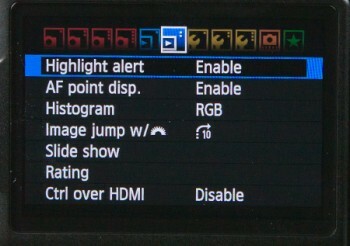 I’ve also enabled the flashing highlight alerts – this flashes overexposed areas when you review images. It’s not infallible and is prone to be a bit too enthusiastic in raising the alarm. 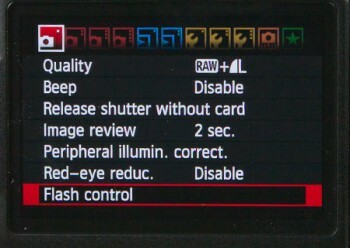 However I often use fully manual mode on the camera, particularly when using tilt/shift lenses. The flashing highlights have more than once reminded me that I’ve forgotten to alter a camera setting and saved me from an overexposed shot. I know that when busy working at a site and thinking of lots of different things, I’m easily distracted. No-one has ever accused me of being overly methodical in my approach to anything, so features like this help. The RGB histogram is for me more useful when taking shots with artificial lighting, where it’s very easy to blow the highlights in the red channel – for some photos this is no problem, but for others… well I like the option of seeing. 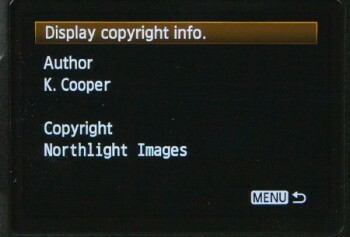 Another feature I’ll set is the owner name and copyright. In the custom functions menus, there are a few defaults I’ll change. CF2-1 – long exposure noise reduction – I’ll set this to always, so that if I’m taking a shot over a few seconds, the camera will also take a second dark frame exposure (shutter closed) to reduce noise. I do quite a bit of night photography and have found this really helps, particularly if the camera is warm. That’s all I set before taking the camera out to test. There’s no better way to learn a new camera than go out and take some photos – this is a lot cheaper and easier than when I first got my Olympus OM2 and shot a dozen rolls of film.